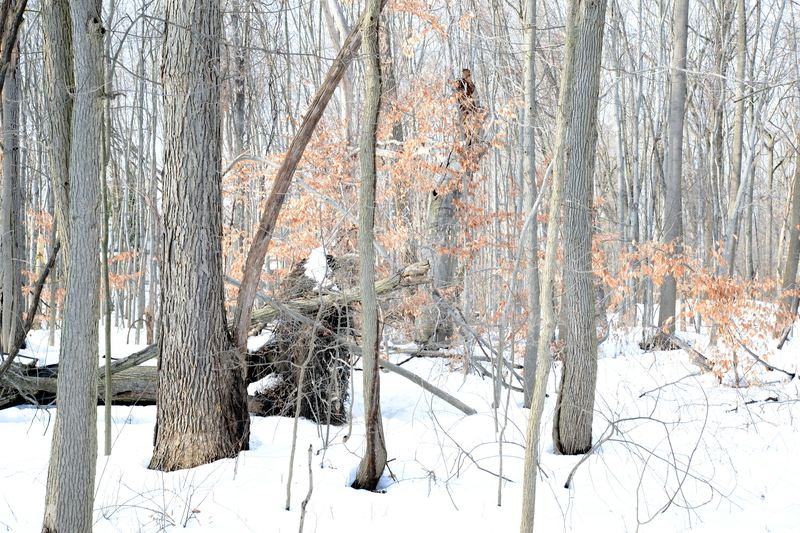 We took a walk in the Glen Rock section of the Saddle River County Park today. There’s still maybe 7 or 8 inches of snow left, but it’s melting fast and the streams are quite full. The vernal pools will be large and full of life this spring. The ducks are already showing signs of mating behavior. Woodpeckers are very noisy and active. If you don’t know this park, you should check it out. It’s quite a mixed forest, with beech and tulip trees, sycamores and red maple. There are some invasives, most notably multiflora rose along the paths, but in spring there’s a lovely groundcover of ephemeral wildflowers: trout lilies, spring beauty, toothwort, and violets. 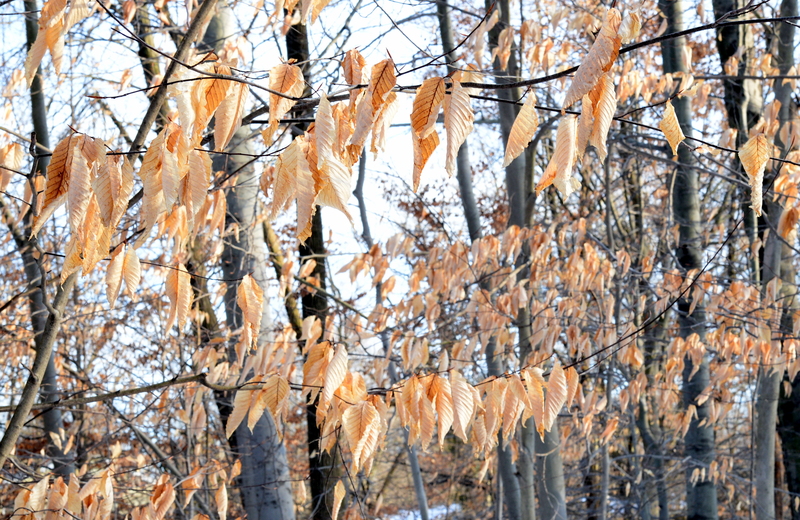 Beech forests are particularly beautiful in winter because the young trees hold their pale brown leaves. You can enter this park at a number of points in FairLawn, Glen Rock, or Ridgewood and walk for miles. The paths are broad and well cleared of snow. I just stumbled upon the US Forest Service’s Celebrating Wildflowers website, and I strongly suggest that you check it out. What a wealth of information! Research on natives and invasives, wildflower viewing areas (none nearby), cultural information, and much more. Click on the “Special Features” tab and then on “Plant of the Week” to explore dozens of interesting plants in depth. 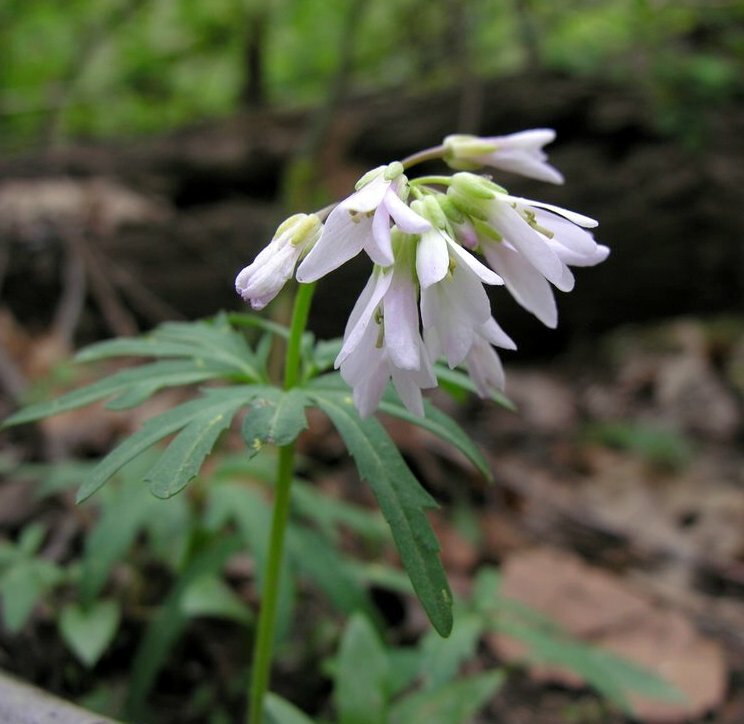 And the current plant of the week is a spring ephemeral that’s common in this area, cut-leaved toothwort (Cardamine concatenata). My husband shot the photo above on a spring walk a couple of years ago. 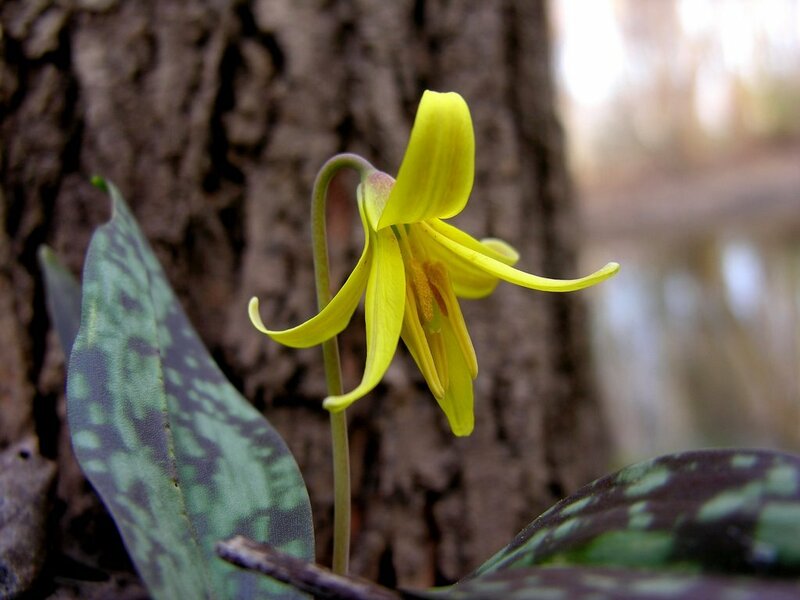 Walk along the river in the Saddle River County Park between Glen Rock and Ridgewood in April and you’ll see these pretty little members of the mustard family by the hundreds, along with trout lilies (shown below), spring beauty, violets, and other early spring flowers. Something to look forward to an we anticipate another snowstorm.